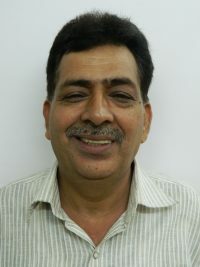 I had mobile teeth on bad bridges done by a famous dentist in Rajinder Nagar .I needed fixed teeth. After consultation with few doctors i selected Dr Chopra dental clinic . the specialist team at clinic did surgery with great care in 2 times with 6 implants each time were placed. the team has internationally trained specialist with good experience . all the procedures were painless, comfortable and sterilized. All the doctors were available as when i required .they gave me fixed temporary teeth for some time and then fixed dentures on the implant. i am now using fixed teeth for more than 1 year i am totally satisfied and comfortable with eating , speaking and looks of teeth.I now go for 6 monthly check up and cleaning of gums around implants. Their follow up with the patient is also commendable. all the procedure was properly planned and explained . Also all the care after wards was told.